FORMER Finance deputy minister Terrence Mukupe is embroiled in a land wrangle in which he is seeking to evict resettled farmers at Mt Olympus Farm in Goromonzi. The former Harare East legislator, who is reportedly behind Farmtel Investments, has since written to about seven farmers, through his lawyers Mangwana and Partners, ordering them to vacate the land. According to a letter to one of the affected farmers gleaned by this paper, Farmtel claims that it was given the farm in 2016 by the Local Government ministry. “We represent Farmtel Investments (Pvt) Ltd, kindly note our interests. Our instructions are to the effect that you are in unlawful occupation of a plot, Mt Olympus Farm Chishawasha B. The said plot is under the control of our client, who was allocated and given developmental rights to same by the Ministry of Local Government in 2016. Your continued presence has hindered progress and the execution of the agreement between our client and the Ministry of Local Government,” the letter read. Mukupe yesterday directed NewsDay to seek comment from Farmtel management. “Is there my name on the letters? Just talk to Farmtel, not Mukupe. Speak to the CEO of Farmtel. The guys at Mangwana will direct you to the guys at Farmtel,” he said. NewsDay has been reliably informed that the farmers, who are in possession of offer letters, have since approached the Zimbabwe Lands Commission, which responded by summoning Mukupe for a hearing and clarification on the issue. According to a letter dated March 28, addressed to Mukupe and signed by the commission’s assistant manager (legal services), one S Zimucha and gleaned by this paper, the former minister was summoned to give his side of the story concerning the farm wrangle. “We are in receipt of a land dispute lodged by Mt Olympus farmers against you in connection with the above mentioned farm. According to our procedure, and as part of our investigations, we request that you furnish us with a response outlining your due claim of entitlement to the said farm as information constituting your side of the story within seven days of these summons,” the summons read. NewsDay is reliably informed that there is contention on the location of the farm that is currently listed in Mashonaland East province, while Mukupe was allocated the land under Harare province. The farm is located in Chishawasha, where most of the land is being turned into residential stands. “The problem is that the farmers who were already in the area before government, through (former Local Government minister Saviour) Kasukuwere, had the land transferred to them for urban development from the Lands and Rural Settlement ministry. The farmers have nowhere to go. There is no alternative land for them, let alone talking about compensation,” a source said. In 2016, former President Robert Mugabe fumed at Kasukuwere, accusing him of illegally parcelling out land to his cronies. 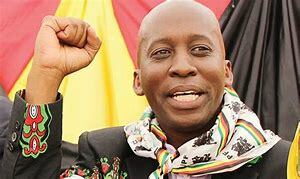 According to government documents, in 2016 Mukupe’s company, Farmtel Investments, was given 100ha in Chishawasha B, with other companies reportedly belonging to heavyweights like Nettfields Investments (Pvt) Ltd and Mahlaba (Pvt) Ltd and Elephant Trust also getting a piece of the 2 848,77ha farm which lies along Arcturus Road.